I went to Somerset this weekend to see my parents and as the weather was so glorious on Saturday, we decided to go to Lyme Regis. 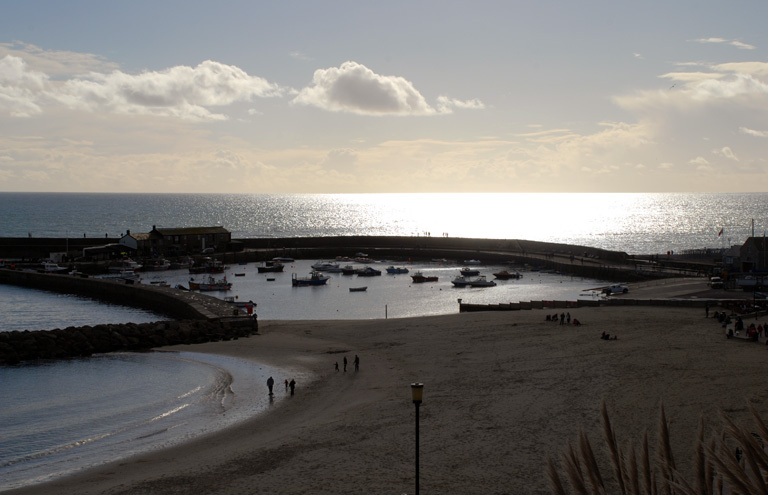 It was 18°c in the Sunshine so we even sat outside one of the seafront pubs and had a sandwich at lunch time – barmy! I love Lyme at this time of year because the tourists have gone and it’s mostly just locals with the odd people on weekends away. 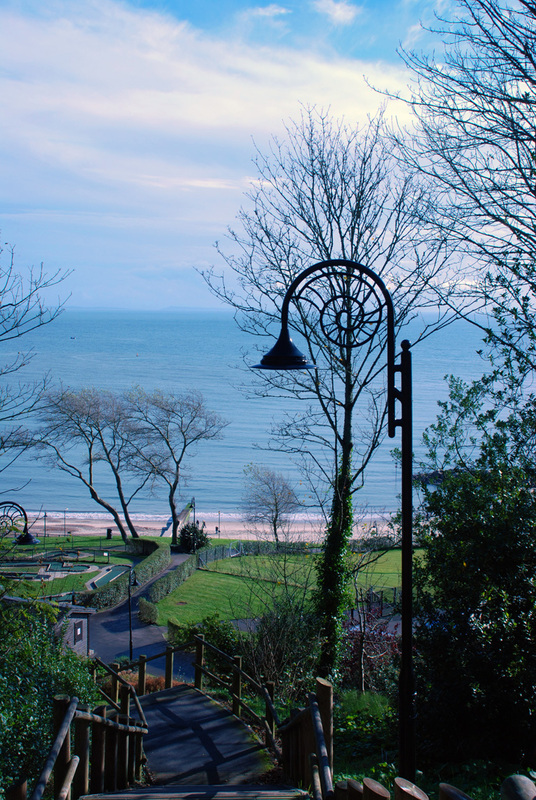 It’s great to be by the sea without the crowds. 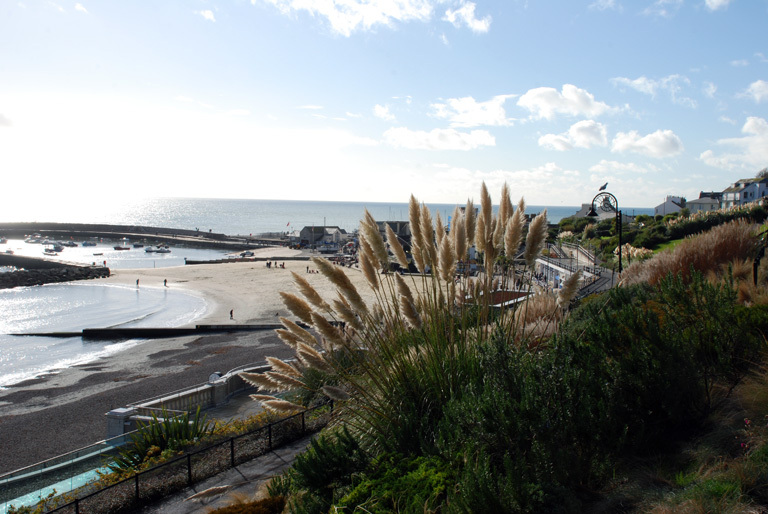 Over the past few years there has been extensive work taking place to prevent the cliff from sliding into the sea. 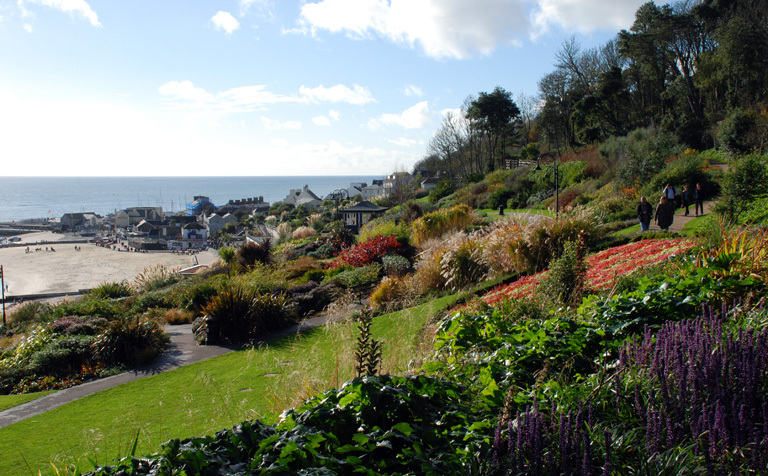 The gardens on the cliff have been re-landscaped and are fabulous. 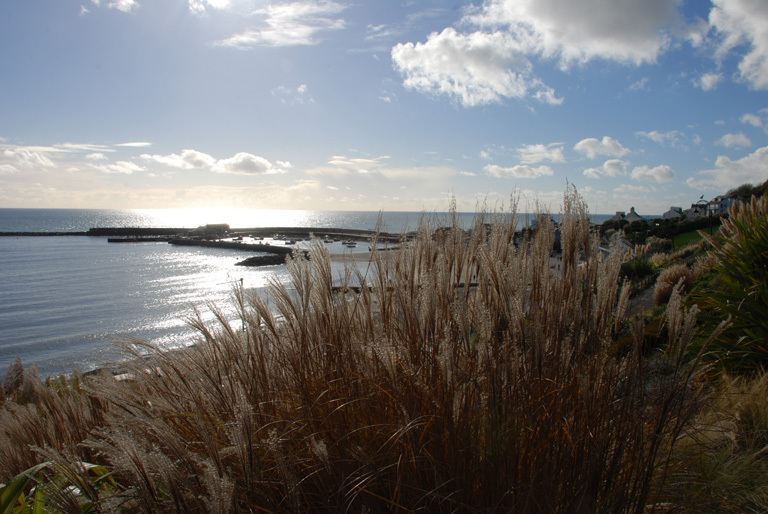 On Saturday the grasses and pampass looked amazing in the autumn sunlight. Pampass grass over the years has managed to get itself a bad reputation and, if you’re old enough to remember the 70’s and 80’s, you’ll probably have memories of it growing on housing estates where it was often planted in the middle of the lawn in the front garden. It didn’t look very pretty. In the right position, however, it looks fabulous. 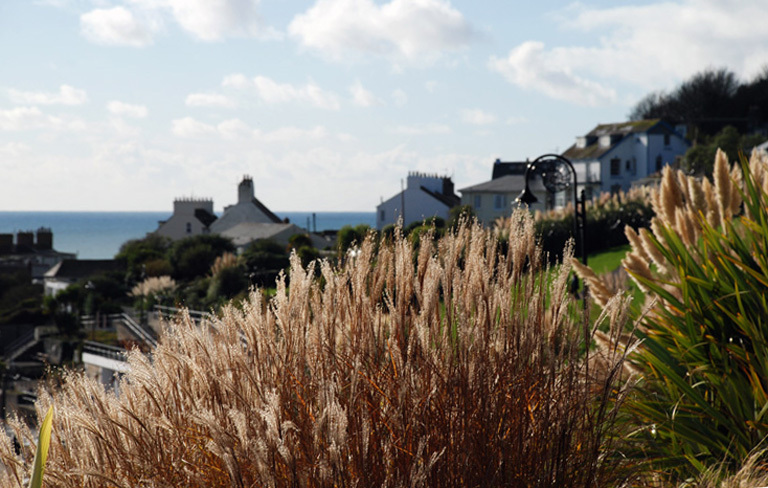 It needs to be planted in a location where it has space to breathe so it works perfectly in a seaside location with the added drama a sea breeze creates. 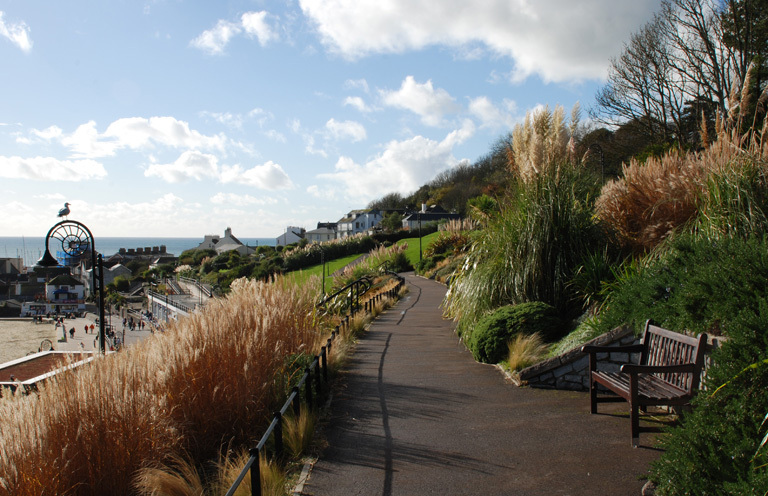 They really have made a great job of relandscaping the cliff and it looks as fabulous from the top as it does from the promenade at he water’s edge. 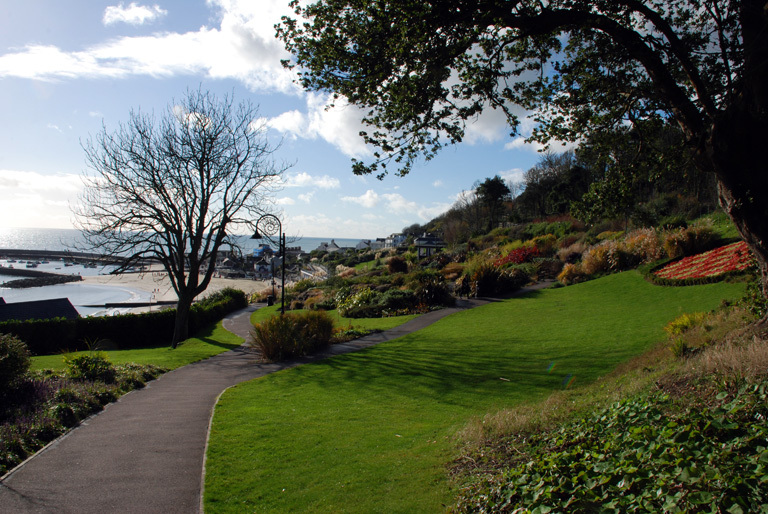 If you’re ever in the area it’s worth a visit – the gardens look great all year round. love your photos I agree the planting is very good just shows what can be done with exposed situations! 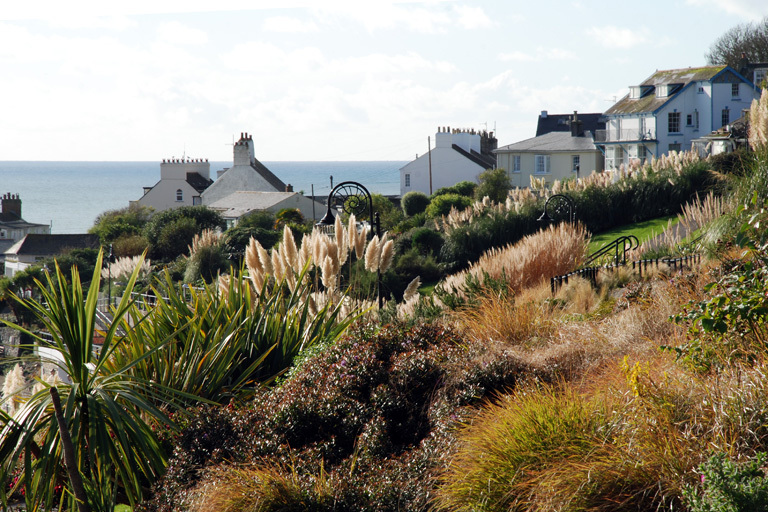 Thanks Rosie – sunshine helped…grasses looked fabulous with the light behind them!